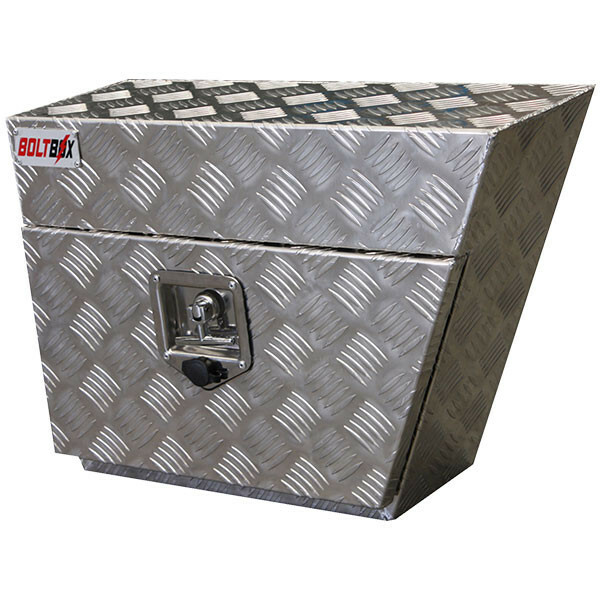 Right hand, 600 x 420 x 200 mm Under Body Toolbox. 2 mm Heavy duty aluminium checker plate construction – compare before buying, most companies offer 1.5 mm only which is nowhere near as strong or robust. Fully welded seams to add extra strength for even the toughest jobs. Strong, hard wearing doors have piano type hinges the full length of the door. T-Bar swivel locks come with 2 keys. Weather resistant to suit our Australian climate. Rubber door seals – for extra durability. NOTE: Not available from our Brisbane branch. 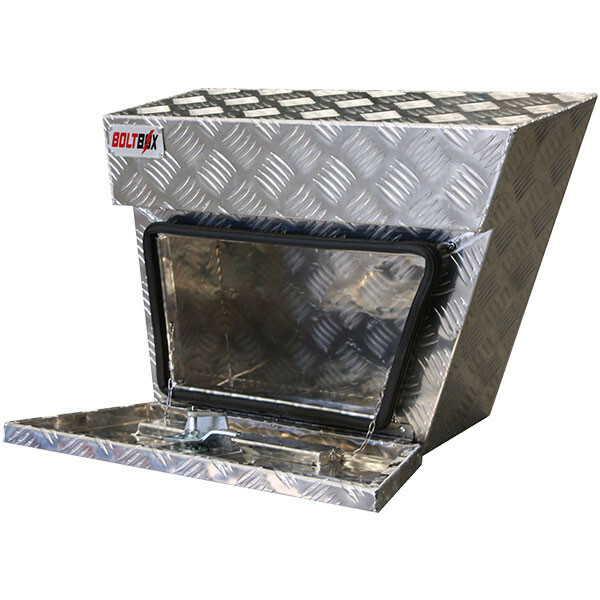 Right hand, 600 x 420 x 200 mm Under Body Toolbox. 2 mm Heavy duty aluminium checker plate construction – compare before buying, most companies offer 1.5 mm only which is nowhere near as strong or robust. Fully welded seams to add extra strength for even the toughest jobs. Strong, hardwearing doors have piano type hinges the full length of the door. 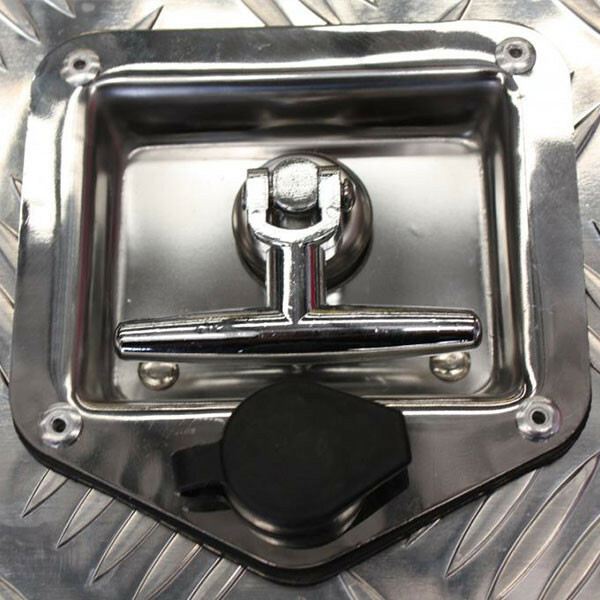 T-Bar swivel locks come with 2 keys. Weather resistant to suit our Australian climate. Rubber door seals – for extra durability.